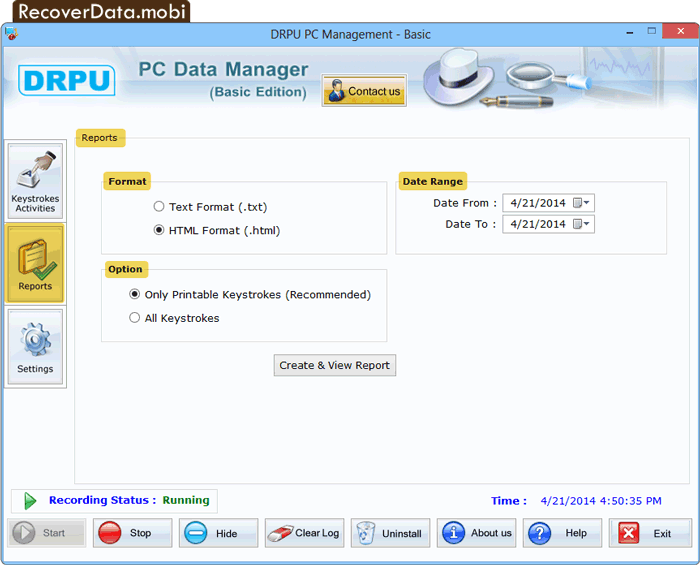 Create report of recorded data in either Text (.txt) or HTML (.html) file format. You can generate and view the report of 'Only Printable Keystrokes (Recommended)' or 'All Keystrokes'. 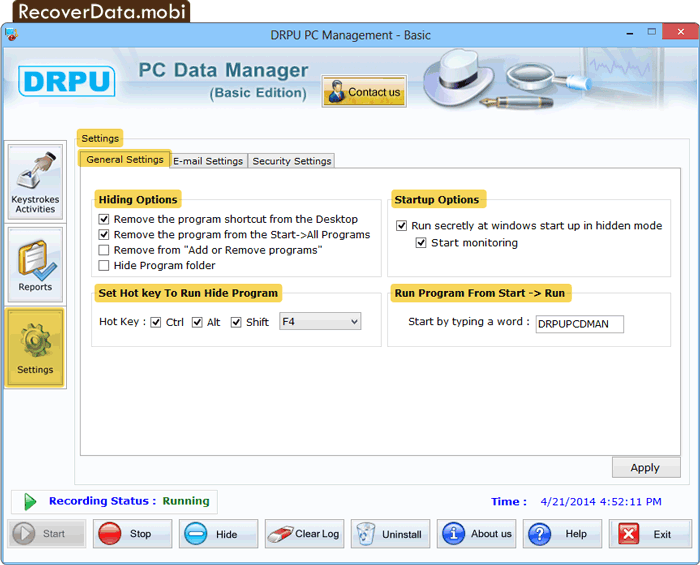 General setting facilitates hiding option to hide the installation of keylogger program on PC.